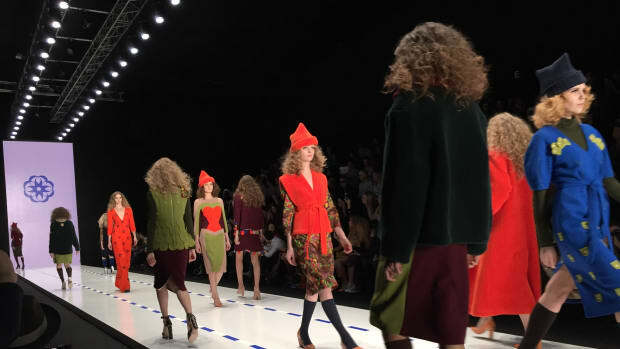 I went to one of those "other" fashion weeks -- in Moscow of all places! Here's what I learned. Undoubtedly, you’re pretty familiar with the four main fashion weeks: New York, London, Milan and Paris. However, there are fashion weeks everywhere. Just about every major international city in the world has one, and those lesser-known events are an entirely different animal. Because it isn’t necessarily worthwhile for a publication to send editors to these lower-tier fashion weeks (because it&apos;s expensive, and their readers aren’t necessarily looking for coverage of international events and designers they’ve never heard of), organizers of the events will set aside a budget to fly in and accommodate foreign press. This was the case during Mercedes-Benz Fashion Week Russia, where I was flown last week by the event’s production company, and put up at a nice hotel in the heart of Moscow. Of course, not unlike other alterna-fashion weeks I’ve been to, like São Paulo and Singapore, I had no idea what I was in for. Read on for the most interesting takeaways from my six days in Moscow. Like, so cold. None of us were dressed appropriately, but Cosmopolitan&apos;s Shiona Turini was definitely dressed the best. They flew out a lot of foreign press. In addition to the five or so Americans, there were several people from the UK, Germany and Italy, from publications ranging from Vogue Italia to Dazed and Confused. Illustrators, personal style bloggers and street style photographers were also flown in. It was a smart move: The event wouldn’t have gotten nearly as much international coverage otherwise (it may not have gotten any). But, man, that must have been expensive. And that’s on top of the fact that designers do not pay to show in the Mercedes-Benz venue. We’ve heard that the event does have government funding (in addition to that of Mercedes-Benz and other sponsors), but we’re not sure how much. It looks eerily similar to Lincoln Center. The event is held not in tents, but in a mixed-use space that looks identical to Lincoln Center’s interior, from the sponsorship booths to the VIP lounge. It doesn&apos;t really help designers get orders from buyers. Mercedes-Benz flew in press, not buyers. And we’re not sure if there were very many buyers present at all — Alexander Shumsky, president and co-founder of Mercedes-Benz Fashion Week Russia, told us he gave out 400 buyer "accreditations." The thing is, this fashion week is too late for buyers. It takes place weeks after Paris ends and after buyers have already placed their orders and likely maxed out their employers&apos; budgets. Successful designers aren&apos;t depending on Fashion Week for orders. It seems that most designers either make most of their money through private clientele, or set up showroom appointments earlier on, perhaps outside of Russia at one or more of the main fashion weeks. But not all of them are going global: Alena Akhmadullina, one of Moscow’s most famous and successful talents, only sells in Russia. At top-tier fashion weeks, shows start as early as 9 a.m., but in Moscow, the first show each day started at 3 p.m. Don’t get me wrong — it was nice to have the first part of the day to sleep in, work, take meetings or tour Moscow. But this also made for some pretty late nights, which Moscow is known for. The last show would take place around 9 or 9:30 p.m., and would be followed by dinner and after parties, and the next thing you know you’re stumbling back to your hotel at 2 a.m. (while the real partiers -- not me -- are still at the party). Moscow’s fashion industry is only just starting to get the support it needs to grow. 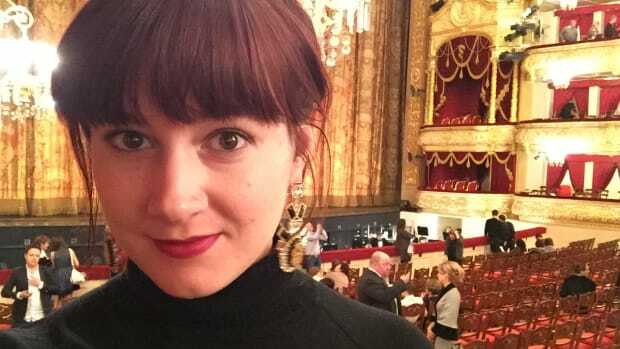 In addition to government funding (which we don’t know much about other than that it exists), the founder of MBFW Russia just launched the Russian Fashion Council to support local talent. (Think of it as Russia’s answer to the CFDA or British Fashion Council.) One big setback Russia’s industry faces now is import and export taxes that make it really difficult and expensive for local designers to make their goods available to international customers. Shumsky says he and the Council are working with the Ministry of Trade to fix that. Another setback is that Russia doesn&apos;t have the manufacturing infrastructure to support fashion businesses, so designers have to look elsewhere to have their goods produced. While there were certainly exceptions, many of the designers we saw seemed to mix inspiration from traditional Russian imagery with more modern trends. There was a lot of conservative feminine dressing: namely, voluminous, embellished dresses with long hemlines. Headpieces, like you might see someone like Ulyana Sergeenko wearing, were also common. Necklines were generally high. Colors were bold. Up-and-coming Ukrainian designer Yaysa Minochkina, a Central Saint-Martins grad who was asked to show in Moscow to make it "cooler," told me she thinks this has to do with the way design is taught in Russian design schools. Many of Russia&apos;s biggest fashion ambassadors were not involved with MBFW Russia. None of Russia&apos;s most famous street style stars -- Sergeenko, Miroslava Duma, Vika Gazinskaya, Elena Perminova, Anya Ziourova -- had a presence at MBFW Russia. Most of them were in Moscow, though. In fact, Duma held events with Gaia Repossi and Caroline de Maigret while we were there -- but they had no affiliation whatsoever with MBFW. Imported clothing is really expensive. In Russia, clothing from international designers can be 40 percent more expensive because of tariffs, etc. But if you do want to shop in Moscow, we recommend KM20, which carries some of Moscow&apos;s cooler local designers like Walk of Shame and tons of hip British labels; and Tsvetnoy, which has lots of contemporary designer brands, from Acne to A.P.C., as well as Topshop and Whistles shop-in-shops. From model babies to mid-runway wind machines. I should maybe have learned some Russian other than "thank you." Look ma! I'm in Moscow!